Named after the famous British capital and inspired by many of its beloved landmarks, London, Ontario is nevertheless an undeniably Canadian destination. Perched just north of Lake Erie and surrounded by magnificent wilderness, it’s home to an abundance of farmers’ markets and artisan coffee shops. Here’s your guide to a whistle-stop tour of the Forest City. 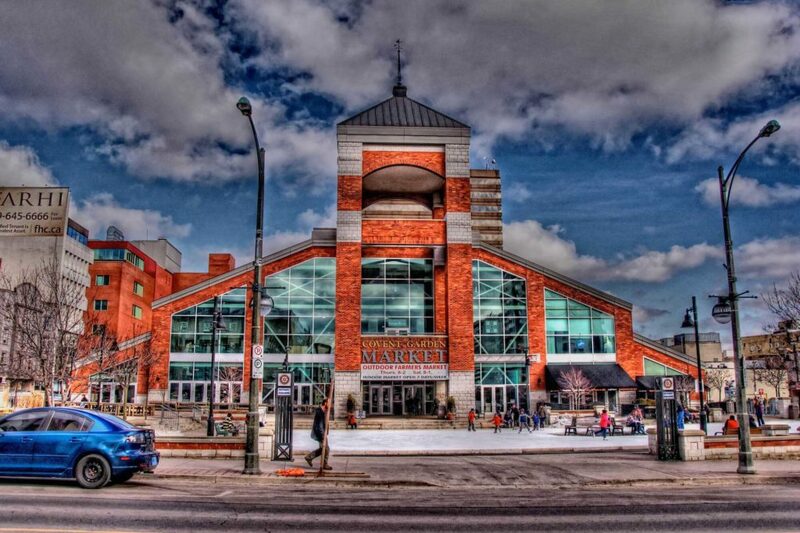 Welcome to Canada’s local farmers market – Covent Garden Market. Getty Images/​iStockphoto. London is renowned for its traditional farmers’ markets: Buzzing hubs that offer everything from farm-fresh produce to handcrafted jewellery. Head to the heart of downtown to visit Covent Garden Market, a local institution founded in 1845. Kick start your day with a gourmet coffee from speciality coffee house Hasbeans, and munch on a sweet kringle (a Scandinavian, pretzel-like pastry) from International Bakery while you browse the rest of the indoor stalls. Should you find yourself hungry again, you’ll have no shortage of food options, from hearty soups to fresh sushi. On Thursdays and Saturdays, the market extends outdoors, with local musicians and free cookery classes adding to the relaxed community feel. If high-end shopping is more your bag, take a stroll down Richmond Row, a wide avenue lined with over 200 businesses. You’ll find luxury boutiques and plenty of independent stores here, as well as bars and restaurants. Browse glamorous accessories at Jordan Stewart or have a personal shopping experience at the exclusive Hangar9. 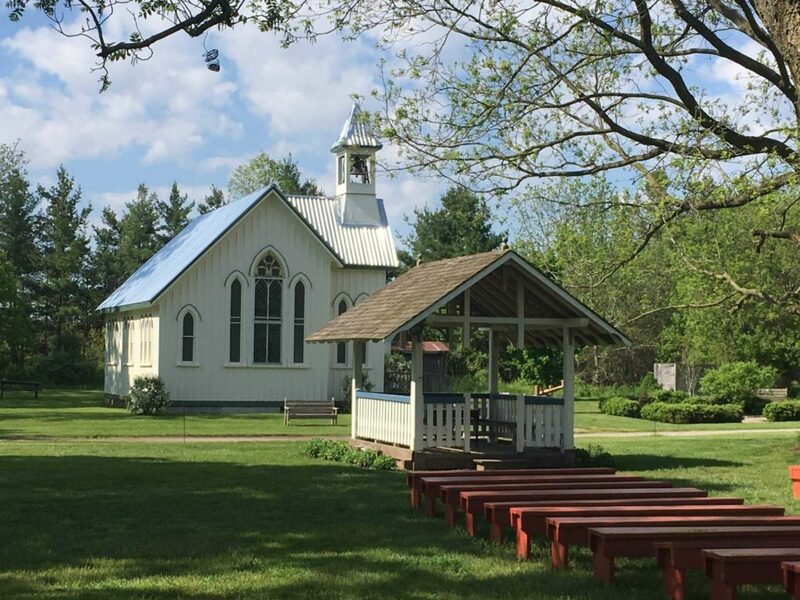 Step back in time at the Fanshawe Pioneer Village. Credit: Adam Bishop/​Creative Commons. 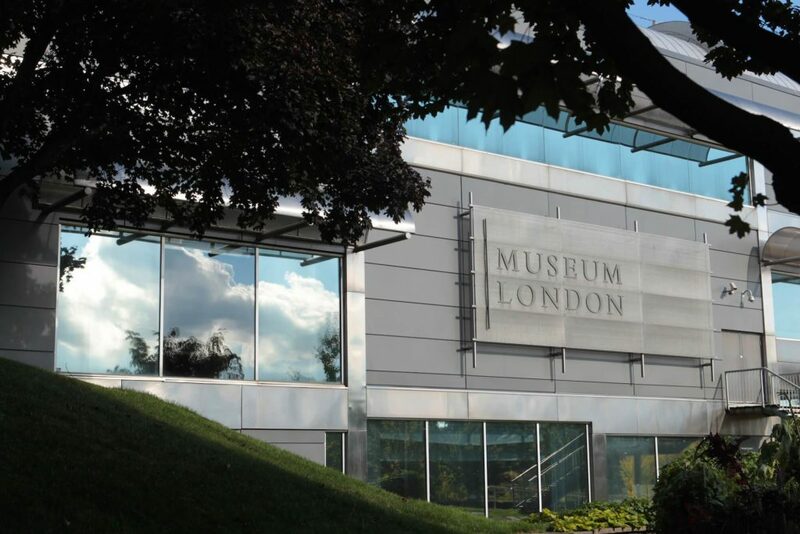 London is peppered with intriguing museums and historical gems that reveal a little bit about Canada’s hidden heritage. Fanshawe Pioneer Village is a great place to start. This 30-building hamlet on the eastern fringe of the city is a replica of a 19th-century village, complete with blacksmiths, farmers and tradesmen in period costumes, telling tales of the rural community that once called this place home. Almost unchanged since the 19th century, Eldon House is a captivating time capsule. This stately home dates back to 1834 and showcases Canada’s take on stunning Georgian and Regency architecture. Wander the house on a self-guided tour to learn more about the wealthy Harris family that built the home. The magnificent gardens, featuring original benches and urns from the Harris family’s tenure, are well worth a wander as well. Soak up the enthralling art pieces at Museum London. Credit: Getty Images. Art-lovers shouldn’t miss Museum London which spotlights a fine collection of Canadian art. There are over 5,000 regional and national artworks in the gallery, with exhibitions ranging from a look at London’s part in the First World War to Canada’s national signs and symbols. Ice skate around Victoria Park in the winter. Credit: Getty Images/​EyeEm. 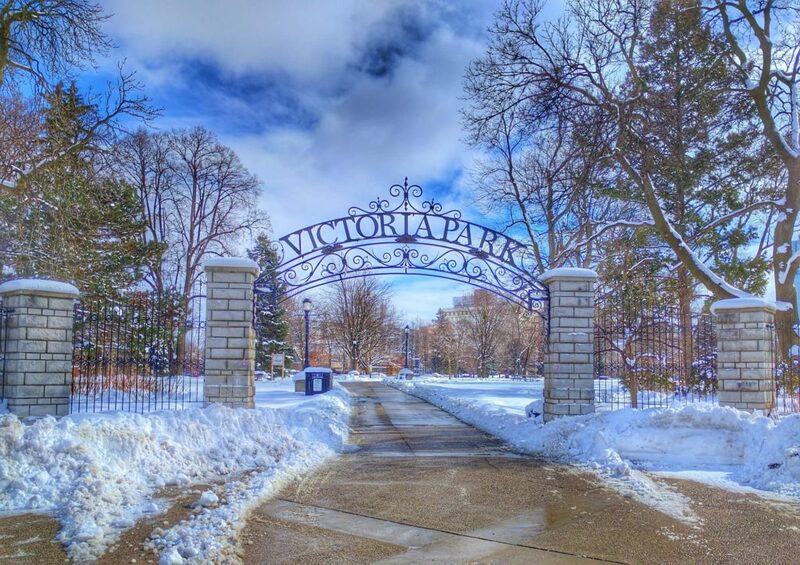 Spend an afternoon in the great outdoors at London’s Victoria Park. The sprawling green space is home to a bandstand, skate park, skating rink and plenty of places to picnic. In July, world music event Sunfest descends on the park, along with thousands of visitors and a delectable mix of global street food. Or ski down Boler Mountain. Also offers great hiking and other activities during the summer months. Credit: Boler Mountain. Fancy something a little wilder? Try hiking in Kains Woods with its challenging 5.8-kilometre trail. Wildlife lovers should keep their eyes peels for beavers and nesting bald eagles. 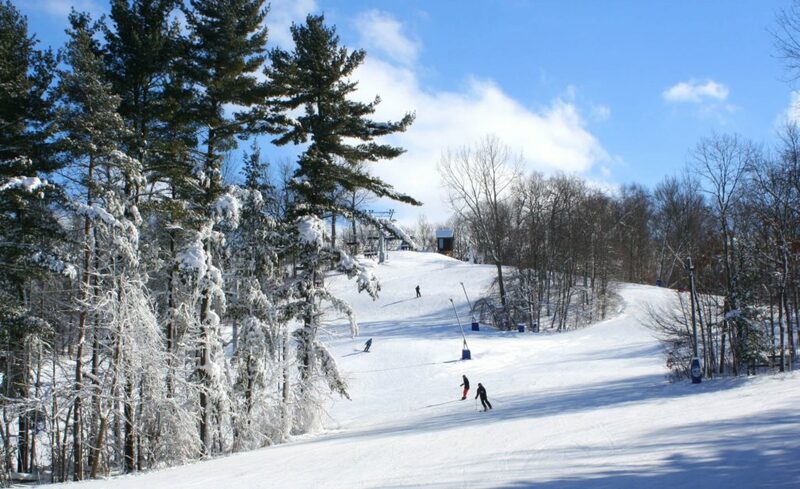 For even more exhilarating pursuits, head southeast of town to outdoor adventure destination Boler Mountain, where you’ll find skiing and snowboarding in the winter season and mountain biking and beach volleyball in the summer. 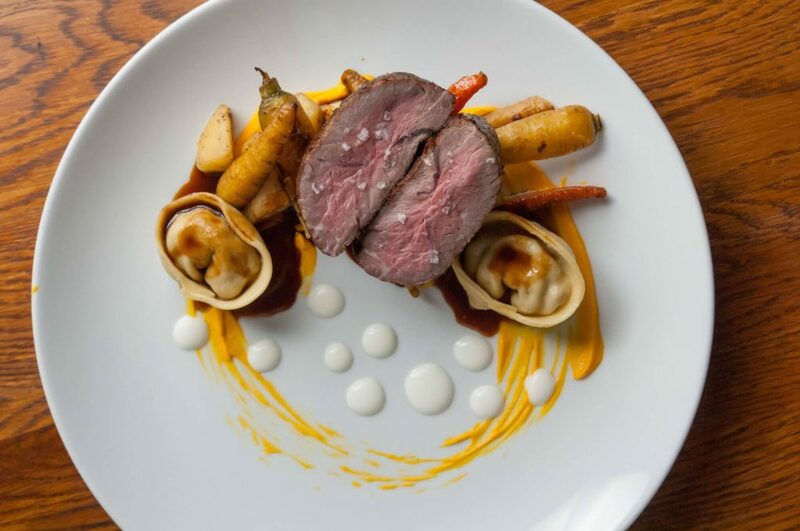 Savour local fare at The Root Cellar. Credit: Getty Images. London’s dining scene is a feast for the senses and places heavy emphasis on local produce and seasonal ingredients. Try co-operative farm-to-table restaurant The Root Cellar which serves up inventive, 100% organic dishes with a focus on sustainability. 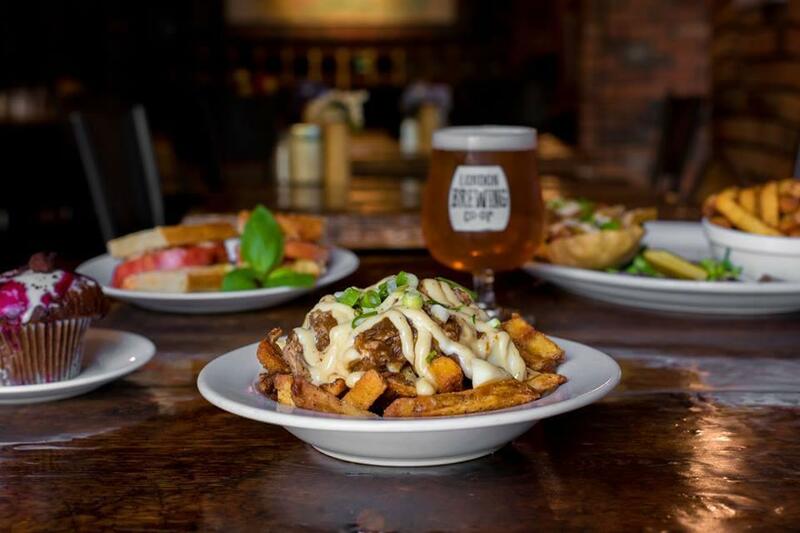 Sample their Feature Poutine, with pulled pork, roasted duck jus and cheese curds, or the vegan ​‘Kale Caesar!’ salad, with homemade vegan cashew parmesan. Sample mouthwatering, Italian dishes at Abruzzi. Credit: Abruzzi. Similar values are shared by upmarket Italian gem Abruzzi. Their menu, featuring fresh, local ingredients, changes with the seasons. Menu highlights include bison and ricotta ravioli, and Lake Huron whitefish with butternut squash two ways. A warm ambience and gracious, attentive staff set this place apart.